ultra clear Space saver 32 oz. 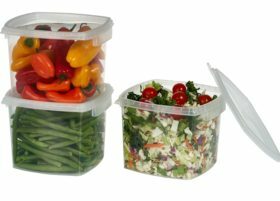 clear deli food container with lid Tamper evident security system and easy stackable and space saver shape microwave and dishwasher and freezer safe -25 sets Ultra clear makes a great appearance for food display The tamper evident square containers are designed with a space saving shape to simplify storage solutions and reduce operating costs. The Decony 32 ounce square containers are microwave and dishwasher safe and features a leak proof design even after repeated use. 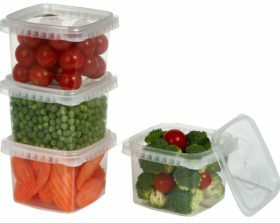 This container is made of recyclable polypropylene is approved for food contact. 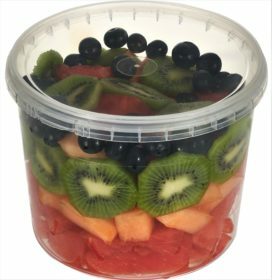 Ultra clear makes a great appearance for food display Decony tamper evident square containers are designed with a space saving shape to simplify storage solutions and reduce operating costs. The 32 ounce white square containers are microwave and dishwasher safe and features a leak proof design even after repeated use. This 32 ounce square container is made of recyclable polypropylene Is approved for food contact. This Decony 32 oz. 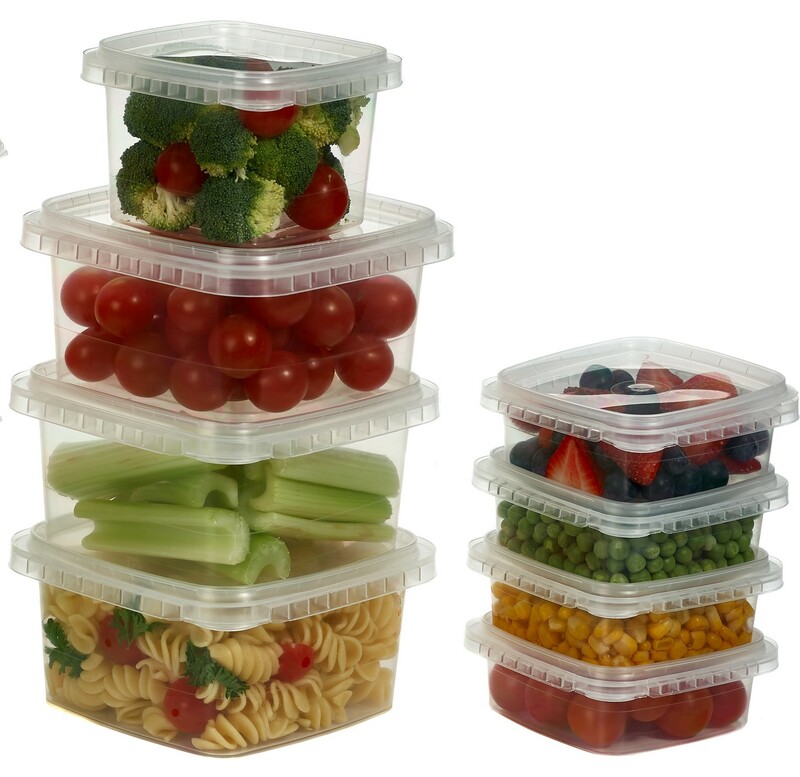 container is made of recyclable polypropylene and meets FDA (Food and Drug Administration USA) and HPB (Health Protection Branch Canada) regulations.